THINADHOO THILA is a medium-sized thila is located 6km east of Thinadhoo Island in Maldives, with its top reef at 5m and slopes down to around 25-30m on a sandy bottom. Smaller blocks are scattered on the bottom around the main pinnacle. The walls are covered with corals and host a relatively rich wildlife. The water entry is usually done on the side exposed to the current, at a distance from the pinnacle allowing divers to go down to 10 meters where they can be protected. When the current is strong, it is recommended to stay minimal time at the surface. The dive is quite easy, and usually starts with the exposed side where most of the fish can be seen. 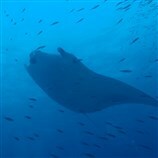 Divers can then move right shoulder or left shoulder along the reef, and proceed gradually toward the top reef which is a good place to end the dive. 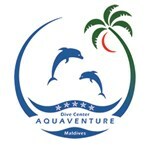 The ascent and safety stop are performed in open water, and divers will be recovered by the dhoni at their exit point. 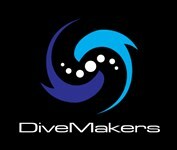 This site is accessible all year round and is accessible for divers with experience at 20-30m. 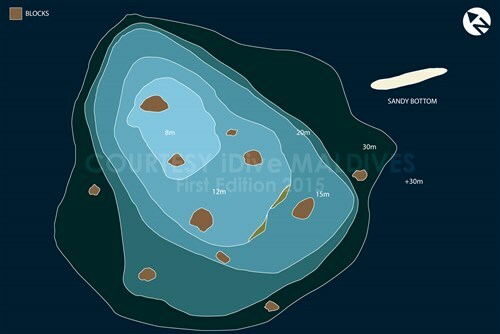 Thinadhoo Thila does not present any particular difficulty but divers will need to have a good control of their buoyancy in order not to damage the reef. Divers may encounter leopard sharks on the sandy areas. In order to observe them without scaring them out, be sure you approach them from the front slowly and patiently. It is recommended to avoid cameras' powerful strobes.